The tour of Veyane Village takes you into the heart of a real working Zulu community where old-age traditions meet contemporary society. 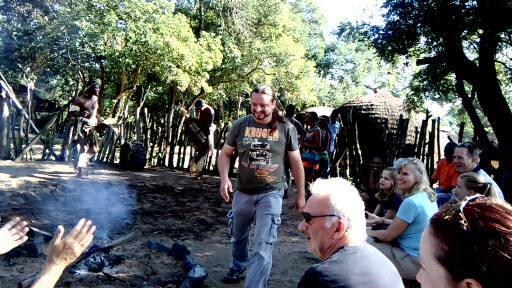 Experience Contemporary Zulu Village life. Find out about the natural history of the Zulus. Call on traditional healers and their remedies. See Zulu beadworkers and weavers at work and try your hand at these traditional arts and crafts. Be spellbound by the magic of Zulu storytelling. Be entertained by talented traditional dancers and musicians. The village offers meals and accommodation with your choice of a modern house or one of 30 traditional Zulu beehive huts.